Its shimmering facets extend beyond sight or touch. Jewel of Osiris is a Legendary primary hand cannon. The Adept version is obtained from the Lighthouse. The good: High Impact & Range. The bad: Can’t Reforge, “meh” perks. Conclusion: Nothing special, but worth using with the right element. Random damage type for the Adept version. 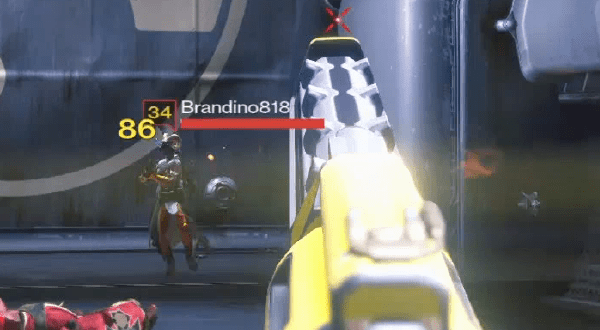 Let’s face it, Hand Cannons are just plain better than most weapons at the moment. The Jewel of Osiris, as the only Trials of Osiris Hand Cannon available, had high expectations prior to its release. However, it’d be a stretch to say it’s been prevalent in either PvE or PvP, even as the number of Guardians who have been awarded it at the Lighthouse has increased. It’s certainly cool-looking, functional, and with serious Adept potential, but as we’ll see in this review, this weapon is unpolished and struggles to distinguish itself among a strong field of competition. 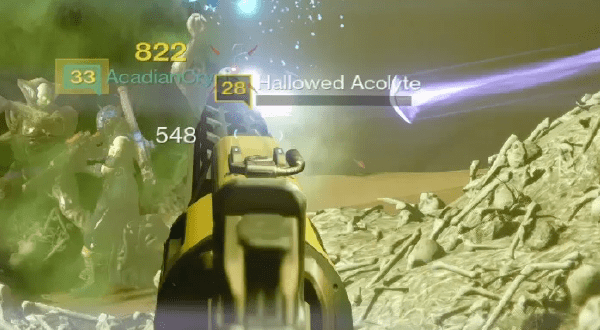 Jewel of Osiris is a mid-Impact/RoF Hand Cannon. It shares this class with staples like the Fatebringer, Red Hand IX, TFWPKY 1969, & The Chance. It possesses the second best base Range among all Legendary Hand Cannons, and ties Fatebringer for the distinction among its Impact/RoF class. Its Stability of 32 is a little below-average, while its quick 3 second Reload Speed helps to compensate for the average Magazine Size of 9. To help you get the most out of your 9 shots, its Aim Assistance is above-average among all Hand Cannons, though far from the standard for its archetype set by Red Hand IX. The stat profile suggests a balanced Hand Cannon that is designed to excel at range, though you’ll have a tough time managing the recoil when putting rounds out at its maximum rate of fire. It’s worth noting where the weapon class in question sits in the current PvE and PvP metagame. Overall, Hand Cannons are in a great place. They arguably edge out Scout Rifles for the top position in PvE, helped tremendously by Fatebringer’s obvious dominance in almost any given situation. Their immense damage-per-shot, pinpoint accuracy, and duck-and-cover friendly playstyle seem almost specifically designed to cope with Destiny’s toughest PvE challenges. In PvP they also do well, with above-average TTKs across the board that reward a patient hand and a quick trigger finger. Of course, the average Legendary can’t hold a candle to Thorn, Hawkmoon, or The Last Word. The Jewel of Osiris is built around an Impact/RoF spread that results in a balanced gun with impressive DPS and excellent ammo management. Although HCs like the Word of Crota can technically put out more raw DPS, they consume ammunition more quickly and require much more Stability to stay on target at their maximum RoF. The 32/68 HCs like the WoC also counterintuitively pack less rounds in the mag and in reserve, with the WoC itself being an exception, whereas the 22/81s don’t typically suffer from this problem. Within its class, the Jewel isn’t a standout. Like many weapons, it has one key stat that gives it some bragging rights, and many that get left by the wayside. As we mentioned above, the Range is really the selling point. Very few of the Legendary HCs base Range even come close to 40, and most require a perk or two to stretch it up to those heights. Stability is a different story. Six Dreg Pride and Red Hand IX have stellar base 50s to their name, for which the Jewel requires Perfect Balance to overcome. What’s more is that any Legendary Hand Cannon available for purchase with the HoW can be re-rolled until it has an ideal set of perks. The Jewel of Osiris is locked into its three, and as we’ll discuss later, they’re not exactly game-changing. In PvE, if you have Fatebringer – or really anything quality you bothered to Ascend or reforge – non-Adept versions of the Jewel simply won’t impress. It has no trash-disposal powerhouse perks like Firefly or Crowd Control, CD-boosters like Army of One or Grenadier, or the reload-friendly Outlaw or Feeding Frenzy. It can still prove to be an accurate damage-dealer, as Hand Cannons frankly can’t be bad in anything, but no better than anything else you might have or might be able to get. In fact, if you desire a stable, forgiving firearm, Red Hand IX is your best bet. It has a higher base magazine size, over 50% more base Stability, and higher Aim Assistance. For this, you trade some range, which may be a trade-off you can stomach for some variety. Clearly, there’s no shortage of excellent Hand Cannons, so the Jewel of Osiris is going to need something to set itself apart from the pack. Does it have what it takes? SteadyHand or SureShot: this is the choice you have to make for sights. You can’t really go wrong with either. The former grants a smidgen of Stability that is admittedly not especially noticeable, and the latter bumps up Aim Assistance. Its first distinct perk is Icarus, a new addition with the House of Wolves. This perk boosts your accuracy when firing your weapon in the air… basically useless for HCs. The idea is nice: when jumping around and avoiding fire from your enemies, you can return it with deadly precision even in mid-flight. In practice, this is silly. If your goal is to avoid damage, your means of accomplishing this involves moving as quickly as possible away from enemy fire. Slowing your retreat while ADS is only going to mean more damage taken, with not nearly enough dished out in return. Icarus could be designed for PvP, but is also just outclassed by pretty much any other perk. While one-on-one, it could give you an edge when pushing aggressively, but if you don’t have a weakened target in mind and hit your shots perfectly, you’re just conveniently taking yourself out of cover and announcing your location for your enemies. The middle row offers the usual slew of helpful-but-boring perks. Snapshot is not justifiable. However, Flared Magwell will shave off .50 seconds and combined with QuickDraw IS, makes this weapon reload in a speedy 2 seconds. With its lower Magazine Size of 9, and lack of Outlaw or Feeding Frenzy, Flared Magwell is just what the doctor ordered, and we recommend it for PvE. Perfect Balance, is also well-suited to patch up the Jewel’s shortcomings. It more than doubles the Stability (with no drawbacks). Reforged weapons can no longer increase a stat without taking a hit to another in this slot, so it’s worth noting that Jewel of Osiris has them beat here. The final perk is Third Eye, yet another distinctly “meh” option, especially for PvE. Third Eye can be helpful – even powerful – on the right weapons. These weapons have naturally low ADS times, obstructive reticles, or both and benefit the most from the increased situational awareness. Hand Cannons, however, are not as hamstrung by these faults. They offer unrivaled FOV clarity, impressive ADS times, and a very low mobility penalty. The downtime between rounding a corner without the benefit of 3rd Eye, spotting an enemy, and putting the first shot on target is minimal. With that said, in high-intensity PvP game modes like ToO, where that downtime involves crucial milliseconds that can mean the difference between life and death, 3rd Eye starts to come into its own. 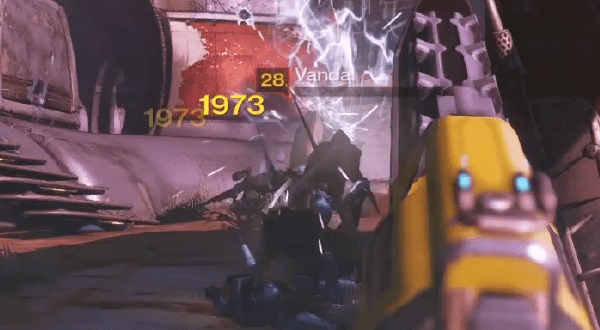 In PvE, you’ll agree that there are better perks out there. The choice here comes down a simple binary decision: If Adept, then PvE; if not, then PvP. Without the benefit of elemental damage, the combination of average base stats and niche Crucible-friendly perks, leave the Jewel of Osiris gasping for air in PvE. The damage on unshielded targets is every bit as strong as your favorite alternative, but other Hand Cannons start to run laps around the Jewel when you take into account their perks. 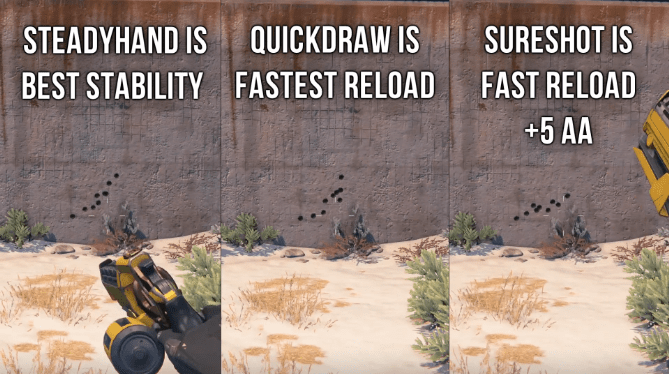 With Outlaw, Feeding Frenzy, or Spray & Play, you don’t have to worry about reloading. The Jewel needs Flared Magwell and a pair of HC gloves to imitate this. Final Round, Crowd Control, Luck in the Chamber, Army of One, and Grenadier all wave at the Jewel of Osiris from Hand Cannons that have had the good fortune to embrace them. It’s not all bad though. The strong base Range and adaptable Impact/RoF class are best suited for PvE, so rest assured that you won’t have any fundamental frustrations in tackling most conventional enemies. For content that doesn’t demand the “ideal” loadout, give the Jewel a try and it’ll serve you well. So it must be better in PvP, right? Eh, not so much. The Jewel is certainly designed for PvP. Bungie must have thought “Well, you can shoot people in mid-air, and see them on Radar 100% of the time; it’ll be unstoppable!” In reality, it’s still about as good as any other Hand Cannon of its class. It’ll kill in 3 shots, providing at least two of them are headshots, but this is the fastest you can down an enemy from full health. The Magazine and Reload Speed are not really hindrances in a game mode in which engagements are off-and-on, so you can enjoy its positives without worrying as much. 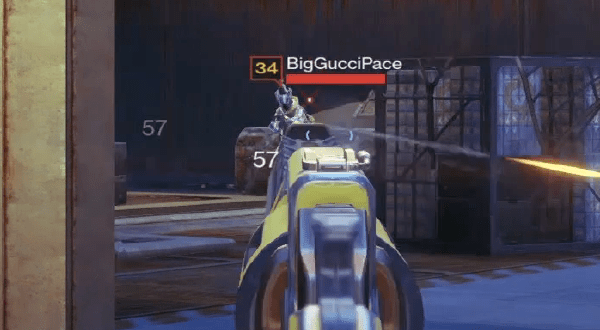 Still, the time to kill is simply not low enough to be competitive against powerhouses like the Exotic quartet of Red Death, Thorn, The Last Word, and Hawkmoon. This is not to say that a good player can’t do well with the Jewel of Osiris, but that it’s tricky to compare it fairly to other Legendaries when so few of them are in Crucible circulation. The Jewel of Osiris is a bit of a dud. Like many of Destiny’s forgotten weapons, it isn’t strongly suited to any one type of content, and thus ends up not particularly good at anything. The Jewel survives on the strength of the Hand Cannon class at large, even beginning to reach the upper tiers of PvE appeal when taking into account the possibility of landing an Adept version. There is currently no Hand Cannon in Destiny with a Solar burn, and as HCs themselves have such a strong foundation on which to build, adding this element to even a middling option like the Jewel is a game-changer. Even without Firefly, it’ll be a standout choice for Solar burn Nightfalls, the Prison of Elders, and average PvE content in which you expect to encounter a lot of Solar shields. In PvP, 3rd Eye will steer you towards more conscious gameplay, but isn’t going to transform your K/D. With the disappointing, gimmicky Icarus as its only other draw, we’re left with an average weapon that isn’t going to turn any heads. At least it’s bound to get your heart pumping if it pops up at the Lighthouse! For PvP this weapon earns a 7.5/10 and for PvE a 7/10. 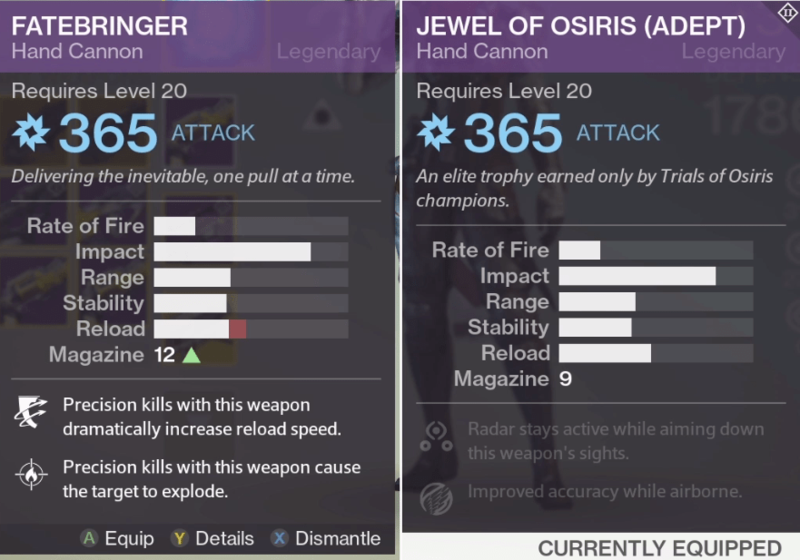 Jewel of Osiris best hand cannonJewel of Osiris PvE ReviewJewel of Osiris pvpJewel of Osiris ReviewJewel of Osiris vs fatebringerJewel of Osiris vs red handJewel of Osiris worth using?